Infosys co-founder N R Narayana Murthy said today that the compensation hike to Chief Operating Officer (COO) U B Pravin Rao approved by the board in February was not "proper" and "will likely erode the trust and faith of the employees in the management and the board". "The impact of such a decision (compensation hike) will likely erode the trust and faith of the employees in the management and the board," he said in an email to PTI here. Murthy also said that given the current poor governance standards at Infosys, the targets for variable pay may not be adhered to if the board wants to favor a top management person. "Finally, given the current poor governance standards at Infosys, let us also remember that these targets for variable pay may not be adhered to if the board wants to favor a top management person," he said. Murthy said giving nearly 60 per cent to 70 per cent increase in compensation for a top level person (even including performance-based variable pay) when the compensation for most of the employees in the company was increased by just 6-8 per cent is improper. "Giving nearly 60% to 70% increase in compensation for a top level person (even including performance-based variable pay) when the compensation for most of the employees in the company was increased by just 6% to 8% is, in my opinion, not proper," he said. This is grossly unfair to the majority of the Infosys employees including project managers, delivery managers, analysts, programmers, sales people in the field, entry level engineers, clerks and office boys who are toiling hard to make the company better, Murthy said. "With what conscience can a decent person like Pravin ( a man schooled in Infosys values for over 30 years) tell his juniors that they should work hard and make sacrifice to reduce cost and protect margin? I have got so many mails from these people asking whether this resolution is fair. No previous resolution in the history of the company has received such a low approval," he added. Murthy, however, said he has lots of affection for Pravin. "I recruited Pravin in 1985 and had nurtured him throughout my stay at Infosys since then. He had been sidelined. He was not even a member of the Executive Council at Infosys in 2013 when I came back. Kris, Shibu and I encouraged him, elevated him to the board, and made him the COO when we recruited Vishal as the CEO. So, this abstention has nothing to do with Pravin," he said. "Those of us who have always stood for fairness in compensation and practised it, right from the day Infosys was founded, will have to demonstrate it when needed. This is a time when it is needed. Nothing more and nothing less," he wrote. 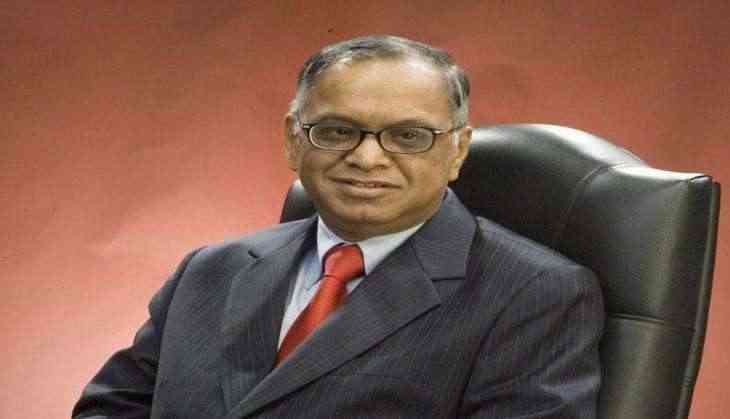 Murthy said he always believed in striving towards reducing differences in compensation and equity in a corporation. "You may not know that my Infosys salary at the time of the founding of Infosys was just 10 per cent of my salary in my previous job. I ensured that my younger, co-founder colleagues got 20 per cent higher salary over their salaries in their previous job even though I was 7 levels above them in my previous job and was 11 years' older than them. "I gave them huge equity compensation the like of which has never been replicated in this world. So, this abstention comes from somebody who has walked the talk," he said. Murthy said he always felt that every senior management person of an Indian corporation has to show self-restraint in his or her compensation and perquisites. and he or she has to fight for maintaining a reasonable ratio between the lowest salary and the highest salary in a corporation in a poor country like India. "The board has to create a climate of opinion for such a fairness by their actions," he added.